Should Micheál Martin get a slot on Gift Grub? Fianna Fáil party leader attempts a Chinese accent. Micheál Martin launching his party's election manifesto on 7 February. 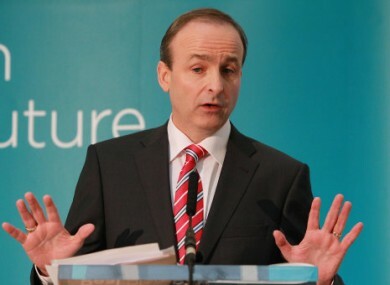 FIANNA FÁIL LEADER Micheál Martin demonstrated his ear for accents this morning at a Dublin Web Summit breakfast event. The Cork candidate and former minister was speaking about Ireland’s attractiveness for Chinese investment and his experiences of meeting Chinese officials during his time as Minister for Enterprise. What do you think of Martin’s impression? Is it offensive? Email “Should Micheál Martin get a slot on Gift Grub?”. Feedback on “Should Micheál Martin get a slot on Gift Grub?”.